KFF plays with WOŚP again! Once again Krakow Film Festival supports The Great Orchestra of Christmas Charity (WOŚP). 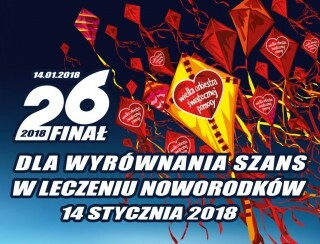 We have donated an accreditation for the 58th KFF accompanied by a welcome pack for the special auction organized by the Polish Film Institute. You can find the auction HERE! It will go on till 14th January. The annual winter fundraiser, which will take place on 14th January 2018, will be held in order to raise funds to purchase equipment to ensure that all babies born in Poland can have equal access to health care. 58th Krakow Film Festival is held from 27 May to 3 June 2017.